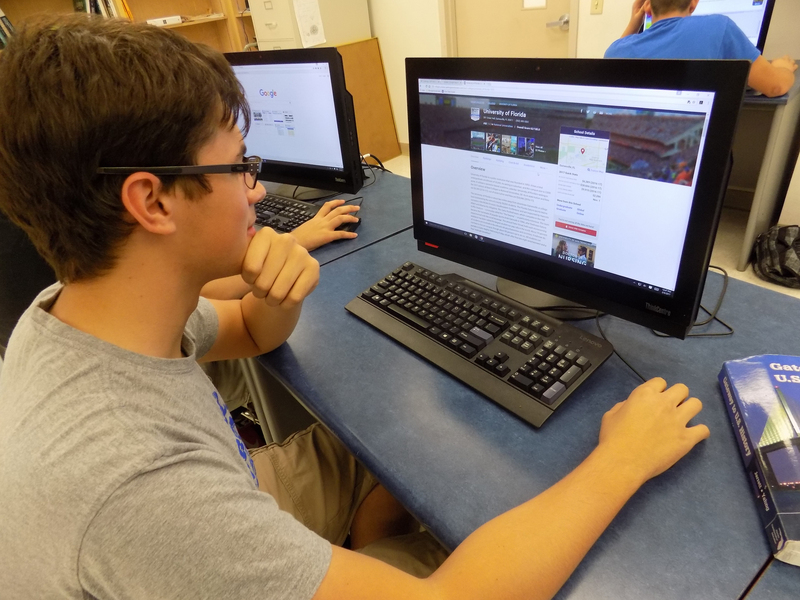 As seniors apply to colleges and decide where they will be attending, they take into consideration many factors including the cost of attendance and even the ranking of the university on websites such as U.S. News and World Report. Some seniors like Eri Vishka used the rankings when deciding what schools to apply to. “Although rank is just a number and shouldn’t be the sole reason for choosing a school, I use rankings to limit my college choices to the top 100 schools since I feel that my academic performance is deserving of a more prestigious college,” Vishka said. The limit of the top 100 schools led Vishka to apply to Duke University, Northeastern University, University of Miami (UM), University of Florida (UF), University of South Florida (USF), Florida State University (FSU), University of Central Florida (UCF) and Florida Atlantic University (FAU) with Duke University being his top choice. Christina Camastra’s consideration of the college rankings helped narrow her choices down to just four: UF, FSU, UCF and USF. Other seniors believe that there are more important factors in determining where to attend. Sierra Molina understands why rankings matter to some people, but they aren’t excessively important in her college choice. BRACE advisor Ms. McFadden has some insight into how these rankings were determined. Ms. McFadden also believes that these rankings can be helpful due to their accuracy. “I think that the placement of colleges and universities allows them to gain recognition globally, but as far as deciding where to apply and getting in, I honestly would follow your heart and professional path even if it leads you to a school that is perceived as lower in national placement,” she said.